It’s a beautiful day at the lake! 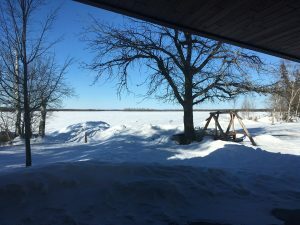 I was sitting here earlier on Superbowl Sunday looking out at a bright, beautiful winter day. It was so pretty out there that it made my heart hurt. But it was also so cold out there that it would have made my skin hurt! Winter in Minnesota ain’t for sissies, as all those Superbowl visitors will attest – but winter at Wildwood can be. I’m a fair weather fisherman. I like to ice fish after Jay has gone out and set up the house (right on top of a big school of sunnies), drilled the holes and gotten it nice and toasty in there. I like to eat snacks in a t-shirt while I watch the Vexlar even though I have no idea what the heck that thing is showing me. Green lights are fish but yellow lights aren’t? Whatever. So I understand the legions of people out there who think sitting on a frozen lake in sub-zero temperatures doesn’t sound like a good time. But what so many of those Superbowl-visiting, Minnesota-experiencing celebrities found out this last week is that winter in Minnesota is awesome! 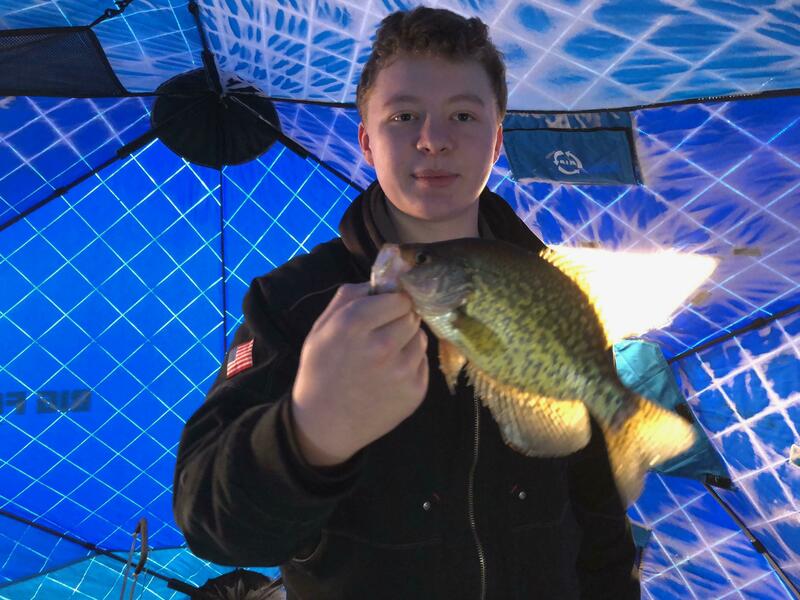 Ice fishing is FUN even when the bite is slow. Why? Because it’s always a great time when you do something outside of your ordinary, daily routine with people you really like hanging with. It’s time away from your chores and normal life and, in our family, those are the times we connect the most with our kids. Taking a break from normal life with “your people” is more than a luxury – it’s a necessity! The family that ice fishes together stays together! Ice fishing at Wildwood doesn’t have to be of the traditional variety. Bring the family and spend time playing cards at the dining room table after a day on the lake. Or pull the kids’ sled on the lake behind the snowmobile. Build a snow fort next to the ice shack or spend part of a day on the snowmobile trails or x-ski trails. Just do SOMETHING. Take a break and come north to play outside or relax or reconnect. We make our living encouraging people to vacation with us. That is a fact. However, this little pep talk is as much an endorsement for winter recreation and relaxation as it is for our ice fishing resort. Come north and stay with us – we’d love to see you! Or stay closer to home but either way find some family fun in the midst of your winter. I’m positive that you won’t be sorry! 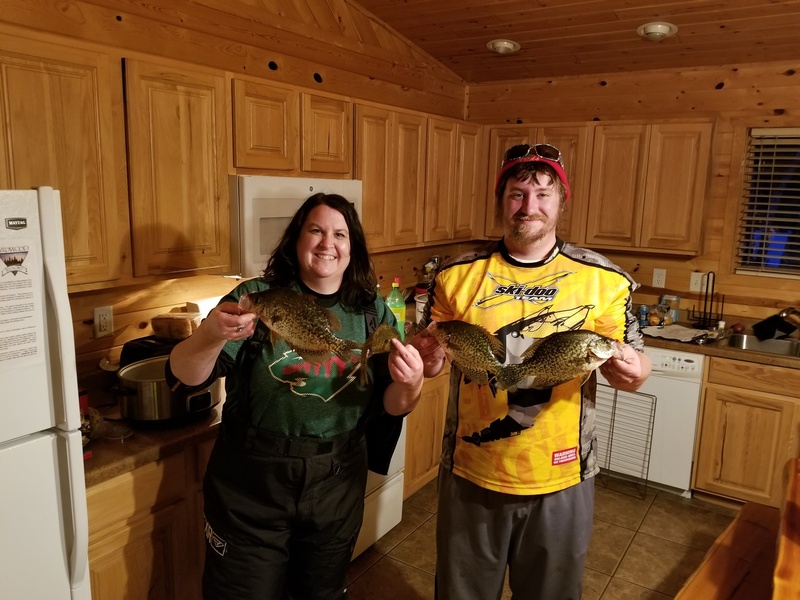 Jay says we can’t call ourselves an ice fishing resort without an ice fishing report on our blog so here it is: Fishing hasn’t been as hot as earlier this winter but guests are still catching enough fish for a fish fry and who doesn’t like fresh fish even in the winter?! The best bite still comes in the hours around dusk and fish have been hanging out in 15-18′ feet of water. We’ve seen some nice crappie and bluegills caught this winter, and it’s been a pure joy seeing the faces of our young anglers as they tell us their story of reeling in the big one. We have a plowed road out to the “fishing grounds” for our guests making travel easy and worry free. 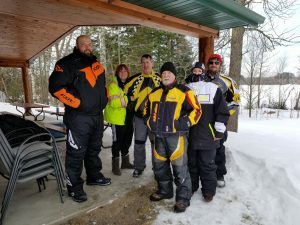 The area snowmobiling trail conditions range from fair to good! We’ve not had any measurable snow in the last 10 days so that’s a bit disappointing. However, snowmobile trails are still all rated as fair to good in our area. 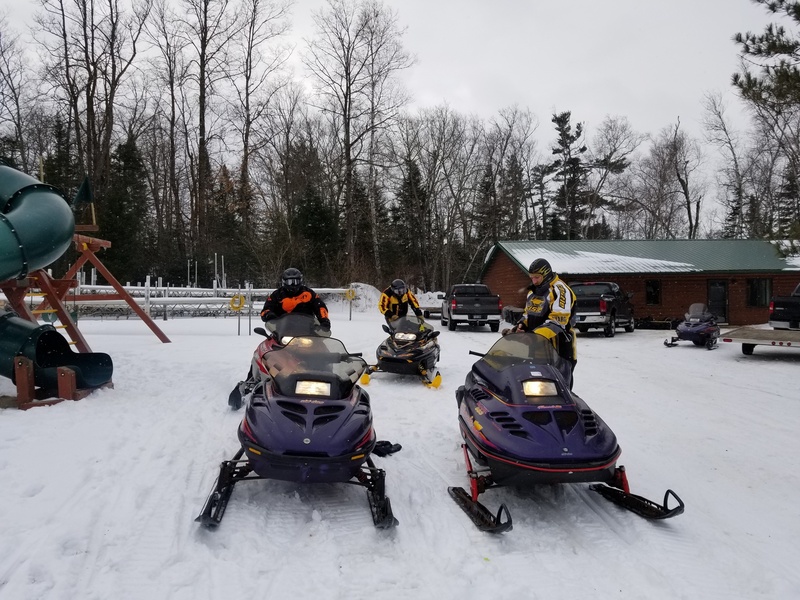 The DNR’s snowfall totals show that it won’t take much snow to make our trails excellent so let’s all keep doing the snow dance so we can ride our sleds a bit more before spring! You can see snowmobile trail conditions as well as x-ski trail reports on the DNR’s website. It sounds like the x-ski trail conditions are good! I suppose the few inches we’ve had lately has kept trail ski-able. Our area ski club, Northern Light Nordic Ski Club, does a great job of keeping fresh x-ski trail reports on their site so check it out! Get outside and have some fun this week! Plan some time away with your favorite people!